Who says a Christmas stocking has to be shaped like a stocking? 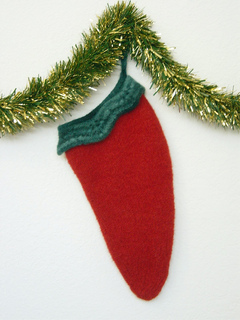 Add some spice to the mantle with a felted red hot chili pepper. Now that’s a stuffed pepper everyone can enjoy!